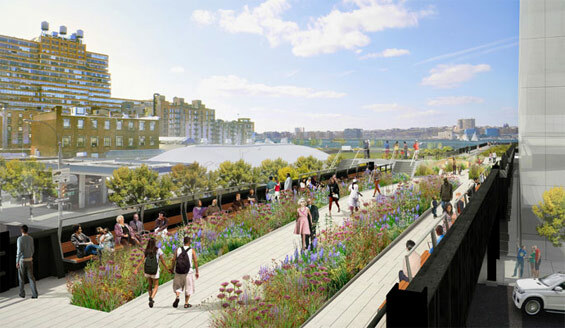 Final Stage of the High Line | Image Credit Timothy Schenck courtesy of Friends of the High Line. 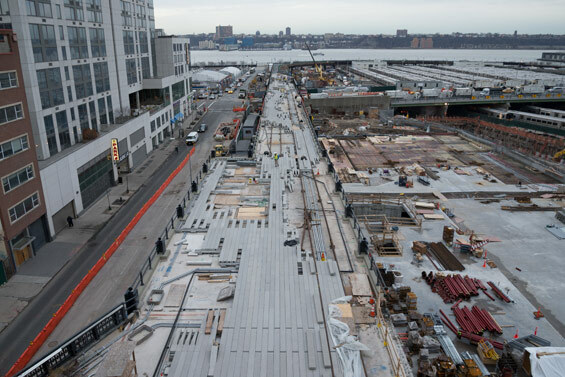 The third and final stage(known as the Rail Yards) is currently under construction and the Friends of the High Line have told WLA via email that most of the High Line’s signature planking has been laid. The interim walkway (where the High Line curves north at the intersection of West 30th Street and 12th Avenue) is all in place. Planting will begin in spring and continue throughout the summer whilst also installing additional construction elements. No date has been set for the opening of the final stage but is expected to be open to the public in the Fall of 2014. The interim walkway (where the High Line curves north at the intersection of West 30th Street and 12th Avenue) is all in place. The interim walkway is a simple path through the existing self-seeded landscape that will allow the public to directly experience the wildflowers and grasses that grew between the tracks once travelled by the freight trains. Here, the walkway winds along the curve of the High Line at West 30th Street and 12th Avenue, and provides visitors a new opportunity to experience the original railroad tracks and Hudson River. 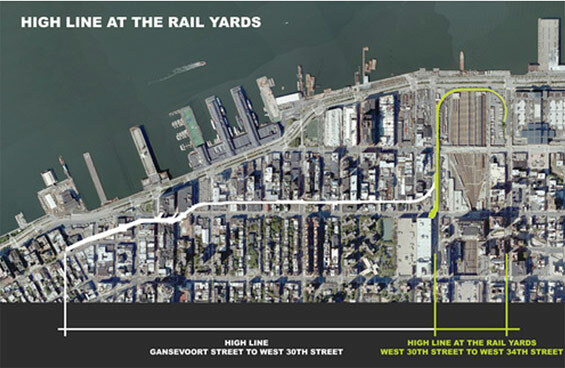 The High Line at the Rail Yards is the third and final section of the elevated railway. Located between West 30th and West 34th Streets to the south and north, and 10th and 12th Avenues to the east and west, this section extends one half mile beyond the northern terminus of the park, at West 30th Street. 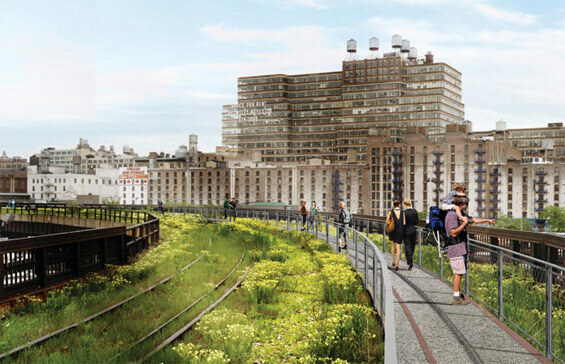 WLA is looking forward to be able to walk the final stage of High Line in the Fall of 2014. 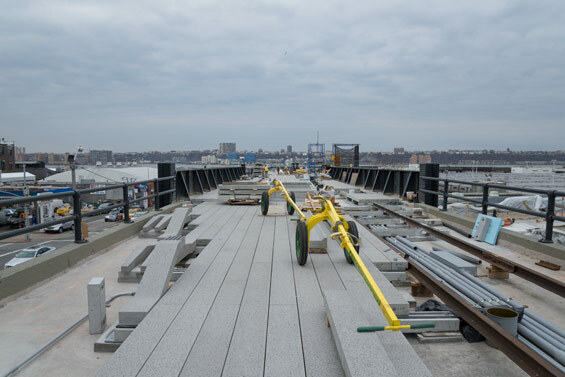 Thanks to Friends of the High Line for the update and images. Image Credit | Friends of the Highline and Timothy Schenck courtesy of Friends of the High Line as noted.